Kent Ridge Park | JustRunLah! The cyclical route around the park is perfect for runners who wish to do laps amidst lush scenery. 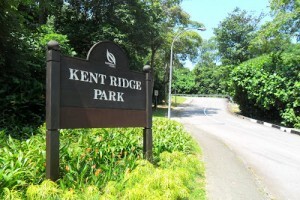 A historical park where one of the last battles for Singapore was fought during World War II, Kent Ridge Park is another favourite running route among many Singaporeans. Featuring natural vegetation and a high biodiversity of wildlife, Kent Ridge Park also has a Canopy Walk – an elevated boardwalk measuring 280-metres long linking HortPark to Kent Ridge Park. You may be able to catch sight of sunbirds, doves, squirrels, lizards, and white-crested laughing thrush. Alternatively, take in magnificent views of off-shore islands such as Pulau Duran Darat from the various look-out points. 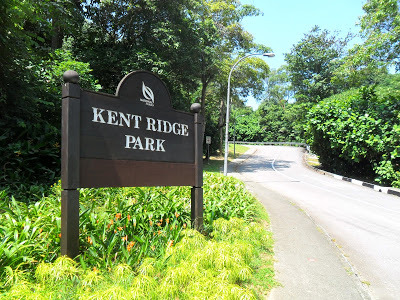 Kent Ridge Park is part of the Southern Ridges, which also comprises Mount Faber Park, Telok Blangah Hill Park, HortPark and Labrador Nature Reserve. You may take a short 3 km run around the park, or extend your run along the Southern Ridges for a longer distance.